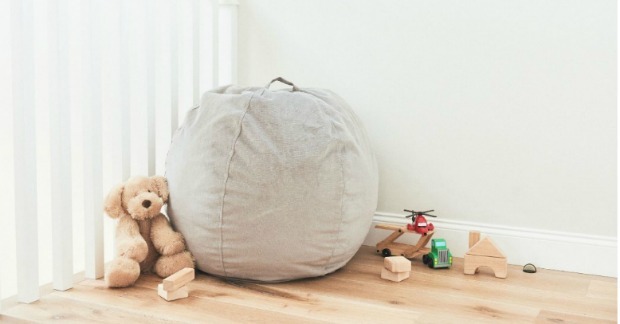 Brentwood Home Kids Space Bundle Giveaway! Valued Over $200! ENTER NOW! You are here: Home / Sponsored / Brentwood Home Kids Space Bundle Giveaway! Valued Over $200! ENTER NOW! 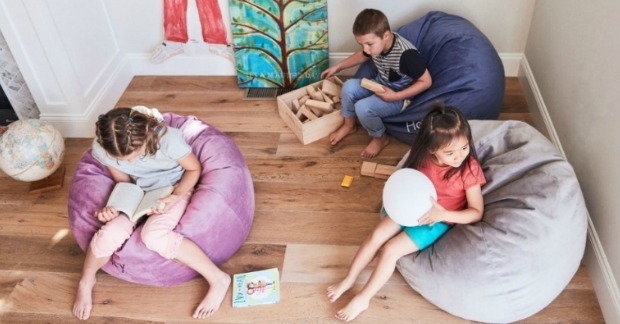 Brentwood Home Kids Space Bundle Giveaway! Valued Over $200! I was compensated for this post, all opinions are my own. Are you ready for an awesome giveaway?! This would make a great gift, too! 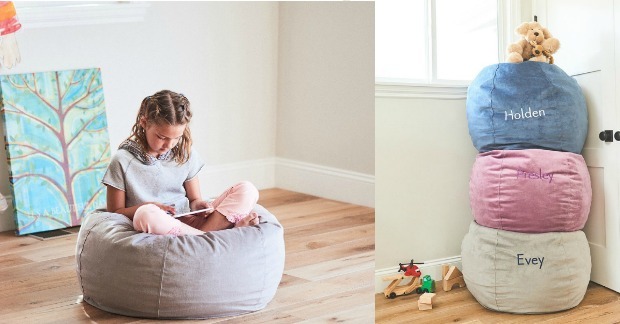 Brentwood Home recently sent me their Venice Lounger and LilyPad Pillow Kid’s Space Bundle to try out! When story time rolls around, kids will have an extra-special place to read with our Venice Lounger. Filled with the same plush gel memory foam as our mattresses, the Venice Lounger promotes comfort in stillness. It’s the perfect spot to snack or snooze after a busy play day, and not to worry, the lounger is big enough for grownups too, if you’re looking for some bonding time with your child. We also offer free name embroidery on every lounger, so every kid feels like they have a place of their own to simply be. The place we live now is by far the largest place we have ever lived. It’s not fancy – we have just always lived in a smaller place. This one fell in our laps about 4 years ago. It has an area that is perfect for my Mom to feel like she has her own place separate from the rest of the house (we even put a doorbell on her door). We have an office, a spare bedroom, and the master is large, too. This place also has 2 “living areas”, where I grew up in Florida, we would call one the living room and the other the den. The “den” is the bigger of the living areas where we have a larger TV, big sectional couch, and several giant lounge pillows my daughter made for the area. I wanted that area to be the place for the kids and grandkids to play videos games, watch movies and relax – where they could throw a pillow on the floor, lay down and just be comfortable. The Venice Lounger is the perfect addition to this room, it is the perfect size for the grandkids and they all tested it out and say it is way more comfortable than a beanbag we also have in there. 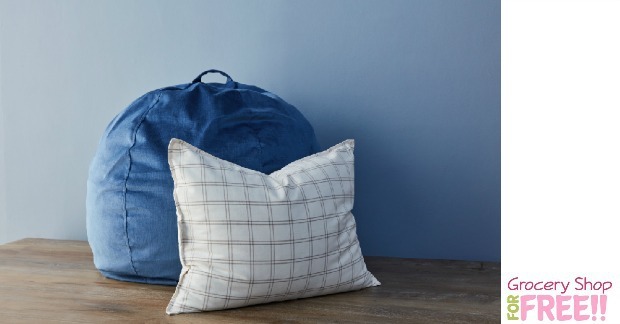 This all-natural latex & kapok pillow has been designed with toddlers and young children in mind. It offers the medium-firm support that growing bodies need for healthy development. Kapok has the same softness of down without the risk of allergies. We specifically chose kapok because it has the smoothness of silk and fluffiness of cotton while also being sustainable, non-toxic, and pesticide free. Finished in a durable organic cotton cover. Drumroll please…. 1 lucky reader will win the same set I received! To enter the giveaway, leave a comment telling us which other items on Brentwood Home you’d like to own! The winner will be drawn at random. This giveaway will end Saturday, December 10th, 2016 at 11:59 pm Central time and the winner will be emailed soon thereafter. Make sure you add [email protected] to your address book, so you get the email if you win! I would like to own the Crystal Cove Meditation Pillow and the Ridgecrest Bed Frame. I’d also like to have their SEQUOIA MATTRESS with a MEDIUM-FIRM FEEL. I just would love a new mattress! Both our girls were conceived on ours and they are in college! 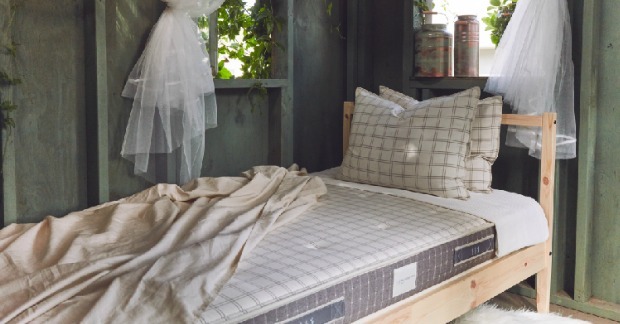 I would love the Beachwood Linen Quilt for my bed. A quilt would be awesome! I have a really nice quilt rack and it has one more spot that needs one. We love to pull them out in the winter and have movie days all snuggled up. I would like to own the Coronado mattress. I like the Crystal Cove Meditation Pillow! I would love tho win their soft pillows!